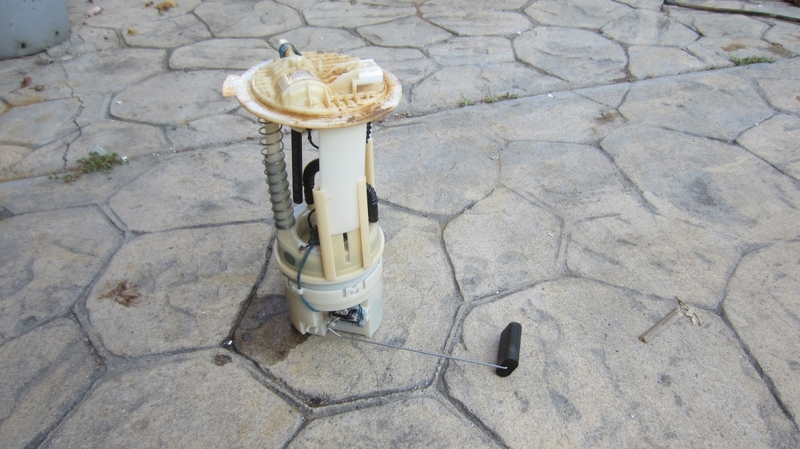 Recently the fuel pump died on my 2005 Jeep Wrangler. The Jeep would crank and crank without starting, and I found that by adding a small amount of starting fluid directly in the intake, it would start and run for 3 or 4 seconds. 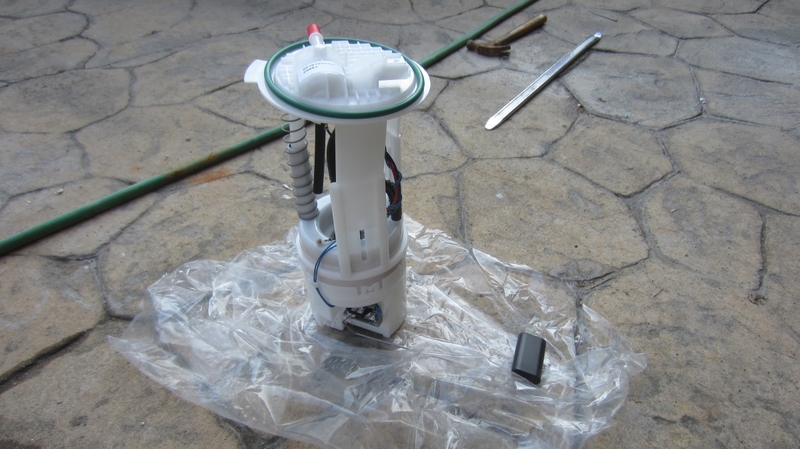 So, with a diagnosis, I went on Amazon and purchased this Mopar fuel pump assembly. 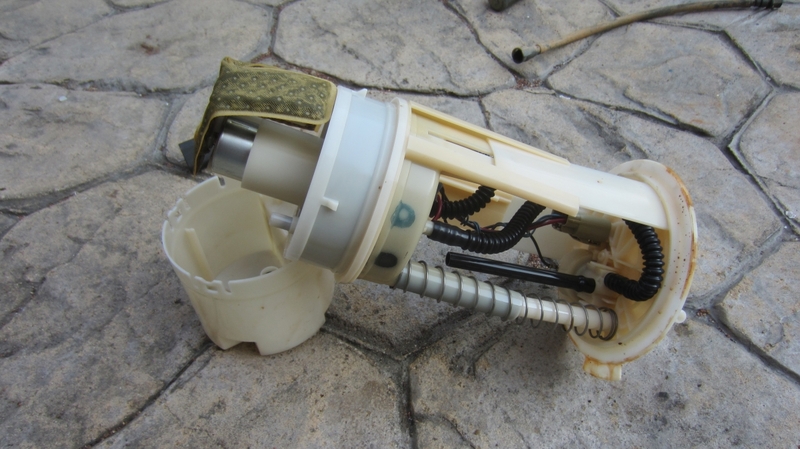 The pump itself is metal, and sits inside of a plastic housing. 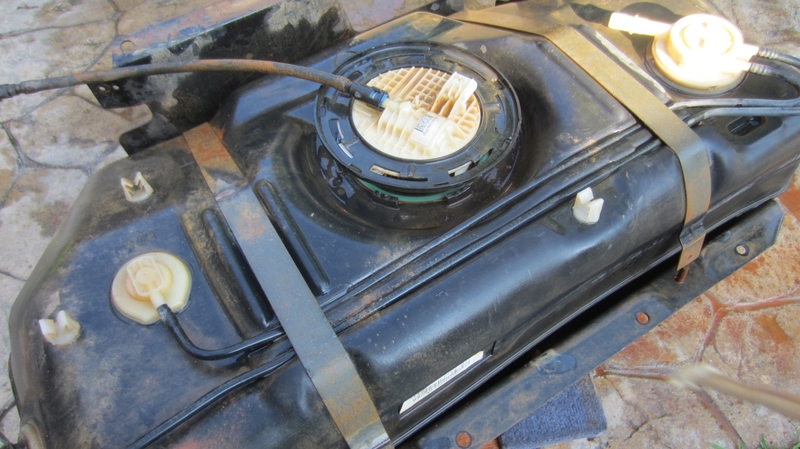 This plastic housing also holds the float (which is responsible for telling how much gas is in your tank). 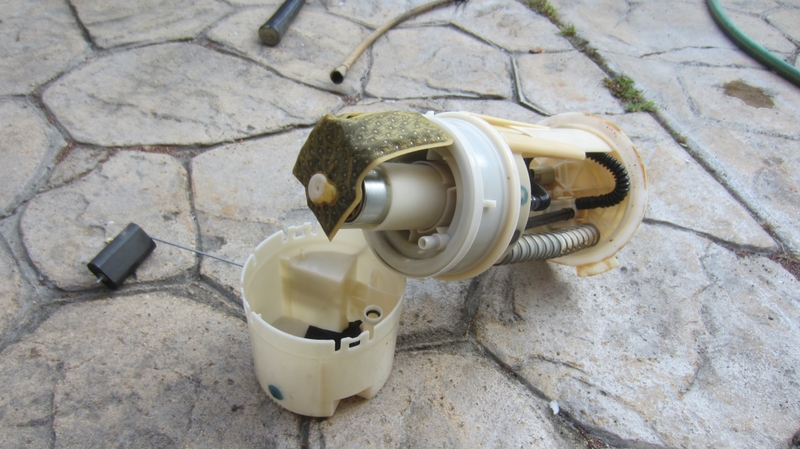 You could get away with only changing the pump itself, but I had read that the plastic could be old and brittle (you never know until you remove it) - in my case the plastic housing would fine, and could have been reused. Having said that, it does not appear that Mopar sells just the pump, but instead sells the entire assembly, and this isn't a job I'd want to do twice. 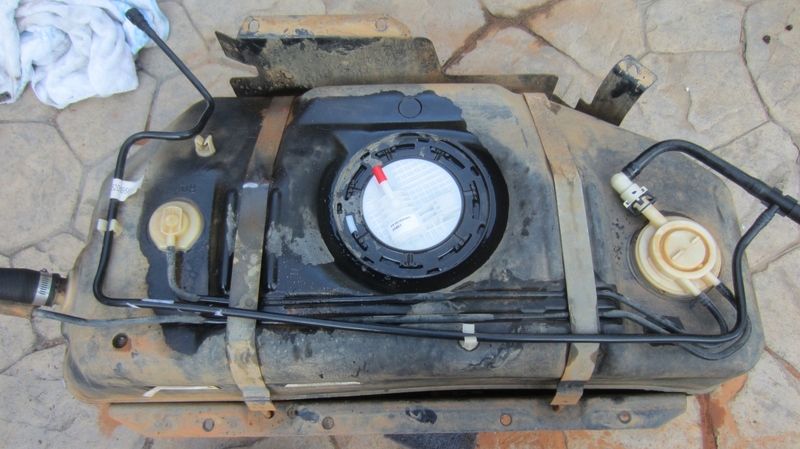 The process is straight forward - you remove the fuel tank, and replace the pump, then re-install the full tank. In practice, things are never that easy, however in this case, about 3 hours with of wrenching should get the job done. The first step in this process is to unhook the battery cables - we don't need any stray sparks while working with gas. If possible, start with an empty tank - since my pump failed abruptly, I was stuck with a 3/4 full tank. 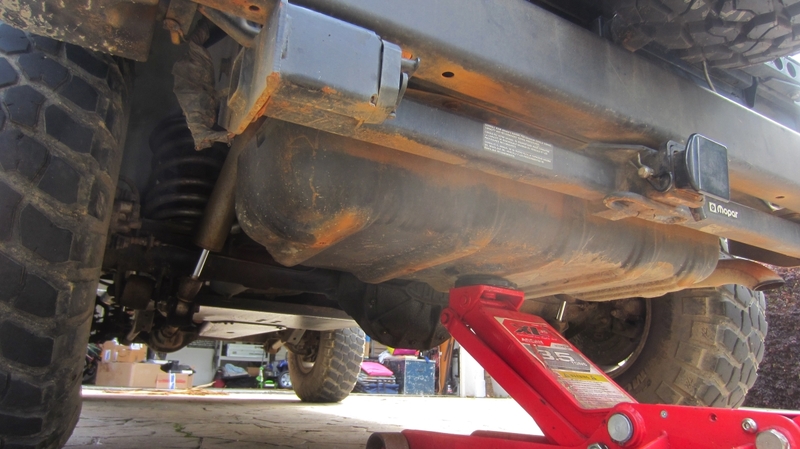 Then remove the bolts that hold it to the body of the Jeep. This should allow you to drop the tank down about 8 inches. At that point, you'll want to unhook the fuel lines, as well as the charcoal canister (in the passenger rear corner on my 2005). Once everything is unhooked, you can pull the tank all the way out. In this shot, you can see the fuel pump assembly before removal. 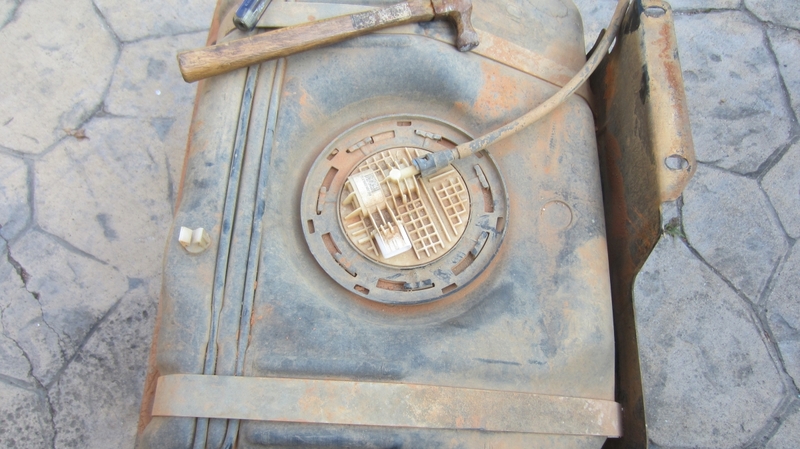 Here, I cleaned off the tank a bit, then unscrewed the fuel pump assembly (you can see how it popped up). Here I've installed the new fuel pump (it just drops into the fuel tank). Make sure that the fuel pump outlet is facing the correct direction. At this point you can re-install the tank, reconnect the battery, and give it a try.